You do not need fancy gear to start making documentaries, you can start out with almost any basic consumer HD camcorder as long as it has both a microphone input and headphone output. Working with external microphones and being able to monitor the sound you are recording is essential when making documentaries. Youll want some basic microphones: start off with an inexpensive wired lavaliere and then add a small shotgun if needed. If you work with subjects on the move, youll want to add a wireless microphones to your kit at some point. Your specific collection of microphones will depend on what you are shooting and your personal preferences. To monitor your audio youll need a decent set of headphones, which you’ll also be used for editing. I suggest starting out with a basic kit and upgrade only when the demands of an advanced project require it. Media production technology is constantly changing, so purchase only what you need today, and in the future you can take advantage of new technology when the time comes to upgrade your kit. Estimated street prices are listed for budgetary purposes and will vary between retailers. The following starter kit is based around a consumer camera and consumer microphones and should be taken only as a starting point and not a hard and fast recommendation. I encourage you to do your research, and try things out for yourself whenever possible. Theres a lot of capable gear available to choose from. Whatever you do, make sure you assemble a kit that will allow you to record good sound and video in a wide range conditions. 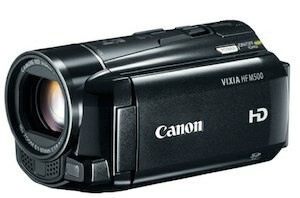 Canon VIXIA HF M500 camcorder ($350.) or a similar model. This camera records full HD (1920 x 1080 pixels) video onto SD or SDHC memory cards using the AVCHD video codec. The memory card slot supports cards up to 64GB in capacity. The camera can also can take 2.07 Megapixel still images. The camera provides touch focus and exposure controls via the LCD touch screen. The most important feature for documentary production is that regardless of the specific camcorder you get youll need one that has both microphone and headphone jacks. Models change quickly, but the HFM500 is recommended at this time as a good entry-level camera with a larger 1/3-in. sensor compared to the 1/4-in. sensor found in other small camcorders. The larger sensor offers slightly better low light performance and slightly shallower depth of field. Roland RH-5 Headphones ($39.) These dynamic headphones offer good quality at a very affordable price-point. The closed-back design and around-ear cushions provide comfort and good noise isolation. While not as good as the industry-standard Sony MDR-7506 headphones (my favorite), the RH-5s are a good choice if youre on a tight budget. The 10-ft. cord terminates in a standard 3.5mm plug and a 1/4″ adapter is provided for connecting to gear with a 1/4-in. headphone jack. Audio-Technica ATR3350 lavaliere microphone ($30.) An affordable condenser lavaliere microphone with an omnidirectional pickup pattern that comes with an integrated 20-foot cable that terminates in a 3.5 mm mini-plug that connects directly into most small camcorders with a microphone input. Consider getting two and using them with the splitter cable listed below in order to mic two people at a time. The microphone comes with a tie clip, battery and a foam windscreen. Youll want to have some extra LR-44 batteries on hand as its very easy to forget and leave this microphone on. Always monitor your audio to make sure the microphone is working properly. If you encounter low volume or any distortion, change the battery. While professional lavalieres are quieter and more versatile in their attachment options, this microphone is a perfect match for consumer cameras at a very affordable price point. Hosa Stereo 3.5mm mini-plug to two Mono (1-Tip and 1-Ring) 3.5mm mini jacks adapter ($6.). Use this adapter (or a similar one from another manufacturer) to plug two microphones with 3.5mm mini-jacks into two separate audio channels on the camcorder. The downside of using this arrangement is that you cant adjust the levels independently on most small consumer cameras, but if youre counting on Automatic Level Control (ALC) youll be OK. This is consumer gear, after all, you can only expect so much, however, being able to route two separate lavalieres into the camera at the same time, or a lavalieres and a shotgun each into its own channel, is quite useful. 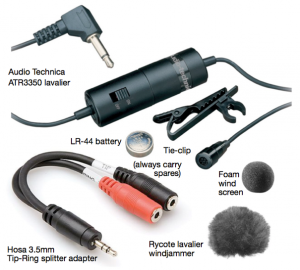 Rycote lavaliere windjammer ($25.). Add this to your kit (available in white, grey, or black) if youre planning to shoot outdoors on a windy day with the ATR3550 lavaliere (use the windjammer over the standard foam windscreen, the two work together as a system). Sennheiser MKE 400 compact shotgun microphone ($200.). This microphone is designed for use on small camcorders and offers surprisingly good sound for such a small microphone. Way more directional than the microphone built into the camera, this mic will provide superior dialog recording. This microphone is powered by a AAA battery, and you should always carry a spare. Rycote windjammer for MKE400 ($35.). 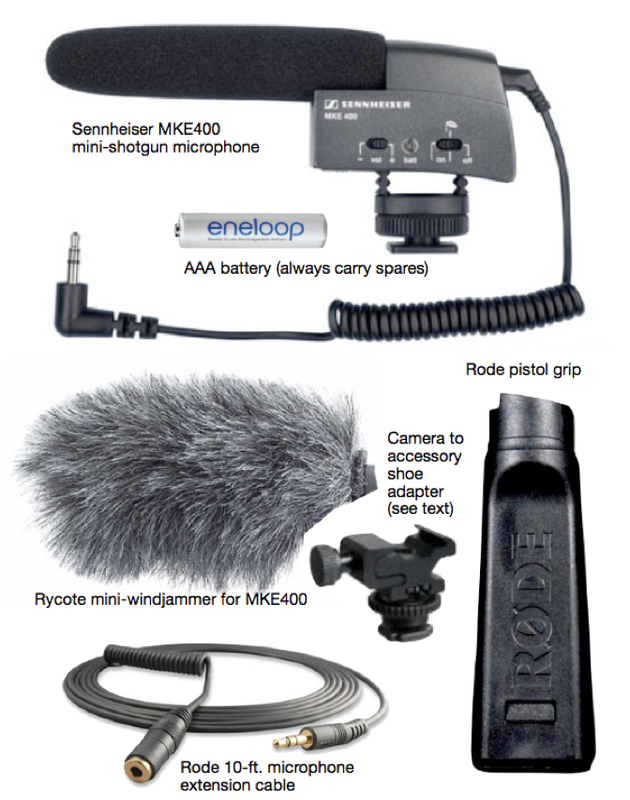 Add this to your kit if youre planning to shoot outdoors on a windy day with the MKE 400 compact shotgun (use the windjammer over the standard foam windscreen provided with the microphone, the two work together as a system). While not as effective as full-sized windjammers, it does a pretty good job and retails the compact form-factor of the MKE400. Rode VC1 10-ft. microphone extension cable ($12.). In the event your subjects are not right in front of the camera, consider adding a microphone extension cable to your kit. Rode PG1 pistol grip ($30.). This grip is designed for accessory shoe mounted microphones (like the MKE400) for either holding the mic in your hand or attaching it to a boom pole. Accessory shoe adapter. This will allow you to mount a shoe-mount microphone like the MKE400 microphone or a wireless receiver on your camera. The small Canon camcorders like the HF M500 dont have a standard accessory shoe, so youll need to get the accessory show adapter if you want to attach standard accessories to the camera. There are several adapters on the market, including the Canon Mini Advanced Accessory Shoe to Universal Shoe Adapter available from Adorama ($29.) or the Cool-Lux MSA-1 Canon Mini-Shoe Adapter available from B&H Photo/Video ($20.). Canon sells a special microphone that fits their special shoe, but then you are stuck using the mic on the camera and a lot of times youre going to want to place the microphone in a position separate from the camera. Rode mini boompole ($130.). There are a variety of boom poles on the market, this model is among the most affordable. You can get away without a boom, but eventually youll find yourself wanting to place the shotgun close to the speaker but just out of frame, and this, along with the pistol grip and mic extension cable, will make that possible. Canon BP-718 Battery Pack ($75.) Youll want at least one extra battery to extend your shooting time. The advantage of the BP-718 is that its small and lightweight, but consider the higher capacity BP-727 if you do a lot of extended shooting when you cant use AC power. Canon BP-727 High Capacity Battery Pack ($110.) In addition to significantly higher capacity than the BP-718 battery, the P-727 sports a 4 LED battery life indicator on the battery itself so you can tell at a glance what the state of the battery is. Canon CG-700 Battery Charger ($95.) If you do a lot of shooting youll want to get a changer in order to charge your extra batteries while shooting. Consider two high capacity batteries and this outboard charger. In addition, when you charge batteries overnight you can charge one battery with the camera and a second with the charger so you can start the day with two fully charged batteries. MK393-PD Photo-Movie Kit QR tripod ($72.) is an example of a lightweight (2.8 lb.) 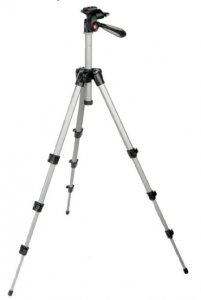 tripod that rises up to 4.65 feet with the column extended and collapses down to 18.9 inches long for ease of transport. Leg angles can be individually set for uneven terrain and lengthened or shortened quickly via the flip lever leg locks. The quick release pan head has a tilting handle. This tripod that may be a little large for the VIXIA, however, its capable of supporting cameras up to 5.5 pounds. The center column can be removed and inverted. While much can be accomplished hand-held, there are many shots for which a stable camera is essential. A solid tripod is an essential component of any kit. There are many other good models out there, each with its own pros and cons, look for one that feels stable with smooth head movement and fits within your budget. Roland R-05 Sound Recorder ($200.) While having a separate audio recorder is optional, I like to travel with one most of the time. Often you’ll find yourself needing to record audio separately from video. This small, inexpensive recorder is a handy thing to have. Sometimes I’ll park it somewhere and leave it running on a shoot to collect stereo ambient sound. It’s also makes for convenient recording of audio-only interviews and voice-over narration. You can attach an external microphone to it and it also has a line in in the event you want to run sound from a mixer into the recorder. A versatile addition to your kit. Carrying case. Youll want to keep you kit in a carrying case that you find convenient to travel with. Keep your gear ready to go at all times in one place. Editing. As far as editing goes, a recent vintage laptop or desktop computer capable of running your choice of non-linear editing software (e.g. Adobe Premiere Pro or Final Cut Pro X) will be required for editing, along with external hard drives for media storage and backup. For editing audio youll eventually need to get a good pair of near-field monitors for critical listening to your sound mix, since it will sound very different on headphones compared to speakers, however, it makes sense start slowly and then add gear as you hone your craft. Lighting. I’ve not mentioned specific lighting gear for a starter-kit because in most cases, the new generation of camcorders are sufficiently sensitive to shoot in most environments, and using lights will be annoying to most of your subjects. No doubt using lighting in some circumstances will be required, and there are many good, small LED lights out there. Among the most versatile lights are those that allow you to dial in separately how much daylight-balanced and tungsten-balanced light you need to blend into a wide range of situations. Less expensive lights will usually be daylight balanced, but you can use gels/filters to change the color temperature as needed. Some models are available as tungsten or daylight balanced. Usually it’s better to get a daylight balanced unit and use a gel/filter over the light when you need to mix it with warmer tungsten-balanced light sources. Additional camera support options. At some point you’ll want to add some form of camera support to your kit that takes you beyond the tripod. There is a wide range of options available and the right choice depends on the type of shooting you want to do: A Monopod (from $20. to $100. depending on design and materials) makes it easy to stabilize the camera for smoother hand-held shots by lowering the center of gravity of the camera and allowing you to hold the camera with a grip under it. The Davis & Sanford Steady Stick ($100.) is a good device to use when you want to keep the camera stable as this rig rests on your shoulder and connects to a belt via a telescoping stick. 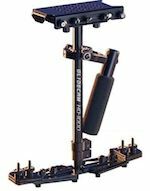 For the ultimate in floating tracking shots you’ll need something more elaborate like a Glidecam HD100 (around $400 for this hand-held model, other models with vest and arm start around $1,800) or the Steadicam Merlin ($800 for the hand-held model or $2,100. with an arm and vest). Both the Glidecam and Merlin are based on the original Steadicam device that revolutionized Hollywood filmmaking in the late 1970s. Back when the Steadicam was first invented camera support rigs had to be heavy in order to support the heavy 35mm cameras of the day. Today there is a wide selection of smaller, lighter devices, many of which are inspired by the original Steadicam, designed to work with smaller cameras, including a plethora of home-brew options. Learning the craft. Twice a year I teach theDocumentary Video Boot Camp, a one-week intensive class in which youll learn about the craft of documentary video production in a focused and supportive setting. The boot camp is offered in Boston through Professional and Continuing Education at MassArt, visit the link above for information about the class and to take a peek at a recent syllabus and some of the handouts. MassArt also offers additional documentary courses including a four week Summer Film School program (of which my Boot Camp is the first week). More kits. In a future post I’ll cover a good prosumer-level starter kit for documentary makers that are seeking higher production values and are ready for more creative control over their sound and image. In addition, I’ll also be posting some suggestions for accessories that will enhance the use of an iPhone for shooting documentaries. Stay tuned! Subscribe to e-mail updates or follow me on Twitter (either or both via link on the sidebar of this page) to find out about updates to this site including future starter kit postings. Resources for documentary makers. Visit the Resources for Documentary Filmmakers page on this site for a listing of resources of value to emerging and working documentary makers. Great article cant wait for you to post the prosumer-level starter kit I am looking in to starting my kit now!